Over 12,000 Participants Came Together For a Greener Tomorrow at the Fifth Edition of NTUC Income RUN 350, Organised by Young NTUC | JustRunLah! 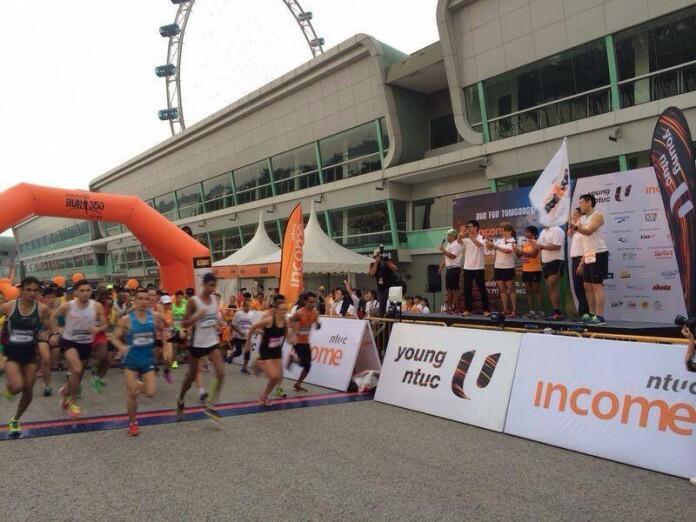 Singapore, 27 April 2014 – Early this morning, Southeast Asia’s premier eco-run, NTUC Income RUN 350, Organised by Young NTUC saw a record number of over 12,000 runners, more than 500 volunteers and 21 partners come together in support of the global 350 movement. The fifth edition of the race welcomed participants from 64 different countries who ran for a greener tomorrow. Mr Lim Swee Say, Secretary-General of NTUC, was present to award the winners in the respective categories. RUN 350 saw runners participating in two categories – the 10km run and the 350m Kids Dash. Held at the F1 Pit Building, RUN 350 aims to raise awareness of the climate crisis facing our Mother Earth. The atmospheric carbon dioxide level currently stands at 400 parts per million, but the level must be lowered to 350 parts per million in order to preserve our planet. 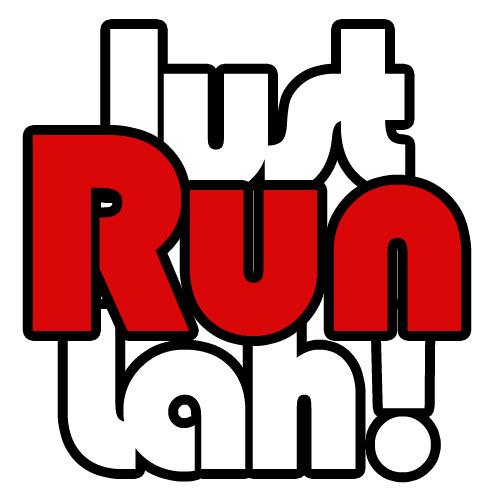 Dubbed an eco-run, RUN 350 practices eco-friendly initiatives that support their green cause. This year, RUN 350 became the first run in Singapore to introduce its inaugural Medal Recycling Campaign which collected a whopping 6,482 donated medals islandwide. The public was encouraged to donate their old or unwanted medals at collection points islandwide. The medals were then recycled and given a new lease of life to become brand new medals for finishers of this morning’s race. In addition to the Medal Recycling Campaign, RUN 350 embarked on many green initiatives this year including encouraging participants to partake in the Bring-Your- Own-Bottle (BYOB) initiative to training runs as well as to the actual race. The effort helped to reduce the use of disposable plastic bottles and paper cups. On-site, there were over 200 bicycle racks available for participants who chose to cycle to the race venue. Eco-partners also set up booths to showcase their various causes such as 350 Singapore, Save That Pen, ECO Singapore and Ground-Up Initiative. RUN 350 collaborated with the Public Hygiene Council to drive a number of litter-free initiatives to bring the litter-free messaging to the forefront of runners’ consciousness. Running route maps in race booklets, EDMs to runners and Facebook medium were used to serve as reminders to runners to keep the event site litter-free. Initiatives implemented during the run include litter-free messaging on Bins and Screened Disposal Areas and announcements to keep the event site litter-free. More than 200 volunteers were also trained to become litter-free ambassadors to advise runners against littering on the race day. Unionists from the Labour Movement also took to the road at RUN 350 as part of the annual inter-union sports tournament, the U Games, which is now in its sixth year. “U Sports is glad to be part of this eco-run where members from different unions could race in friendly competition while showing their support to the cause and our environment,” said Mr Yeo Khee Leng, Chief Executive Officer, NTUC Club.